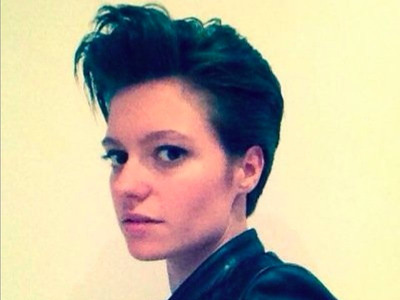 TwitterBlogger and columnist Jack Monroe. 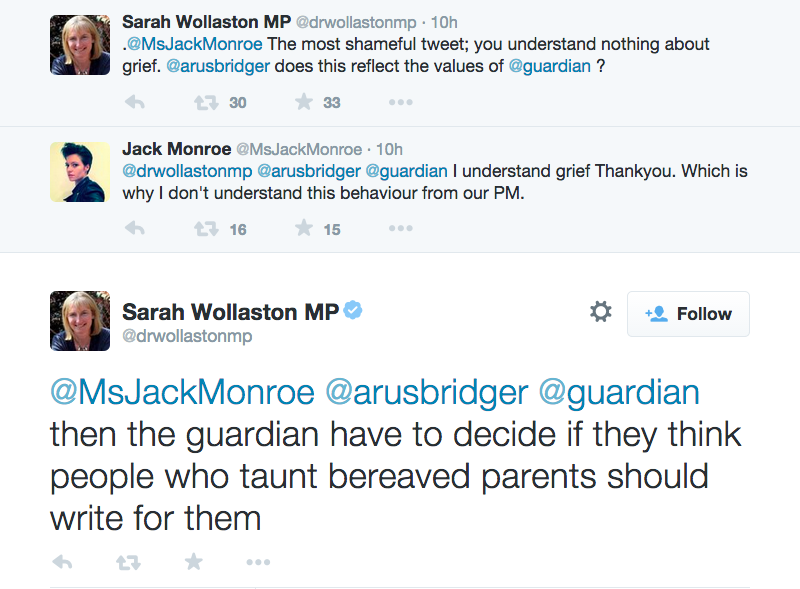 A tweet sent by left-wing blogger and Guardian columnist Jack Monroe accusing Prime Minister David Cameron of using “misty-eyed rhetoric” about his son Ivan, who passed away in 2009, to justify “selling” the NHS has caused outrage on the social network. Since being tweeted on Sunday the message, sent as part of the viral #CameronMustGo meme that begun trending on Twitter last week, has received a slew of angry responses. In his Conservative Party conference speech in September Cameron expressed his anger at those who seek to “frighten those who are relying on the NHS” by suggesting that he would put the health service at risk. 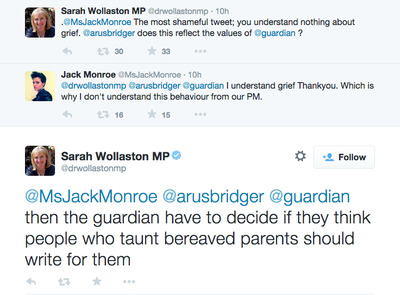 Dr Sarah Wollaston, Conservative Member of Parliament for Totnes, also expressed her anger at the comments.